Jon Lovitz as Hanukkah Harry on Saturday Night Live. It’s almost time for the bearded fat guy in a red suit to break into your house and eat all of your cookies, unless you’ve already been visited by Hanukkah Harry who left you ten cents and a dreidel. With that in mind, we’ve come up with a few items you may have left off your holiday gift list. Healbe’s GoBe2 watch/fitness tracker ($199 but $179 until Dec. 25) is more than your basic Fitbit. 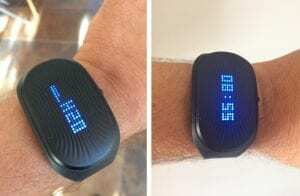 The GoBe2 tracks all the usual stuff – – – steps, sleep and heart rate – – – but can also track calorie intake and calories burned, fluid consumption, emotional states, energy balance and stress level using what the folks at Healbe call flow technology. So far, the results have been pretty accurate, but it may take a few weeks for the device’s galvanic skin response center to adapt to your wrist and calibrate its readings. Be aware that this, in no way, resembles one of the more fashionable smartwatches available today. It’s HUGE! But, if health tracking is important to someone on your list, it’s look can be overlooked. 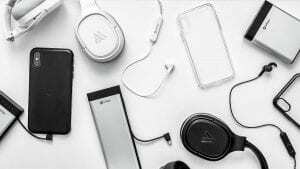 Altigo is a must go for iPhone cases, portable chargers and earphones. The chargers and earphones can work with any mobile device, but their lineup of cases are limited to iPhones, which, to me, is a huge mistake. The barbecuer on your list will probably want Sienna’s Grilltastic steam grill cleaner ($99.99). 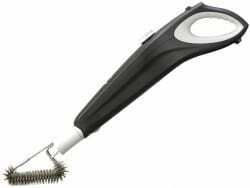 This 1,500-watt tool uses superheated steam and stainless steel wire bushes to remove grease, grime and germs from any barbecue grill. You can also purchase and accessory kit to clean patio furniture and other outdoor items. Unfortunately we couldn’t find a link to this on the company’s website, so the price remains a mystery. The one we tested was extremely easy to use and, truthfully, restored our grill to a state we haven’t seen since we bought it. The Muzen Audio Wood Portable Speaker ($123) proves that great sound comes in small packages. 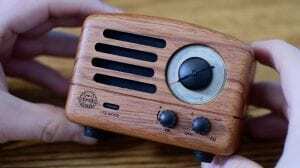 This is a small replica of an old tube-style AM/FM radio that amazed us with the quality of the sound that came through its small speaker. The one we played with came with a leather pouch and strap and was packaged in a leather duffel. It connected to our phone using Bluetooth or a Micro USB cable attached to its AUX port, which enabled us to play our favorite tunes, or we could listen to our favorite AM/FM radio stations. The only thing we wish it had was Internet radio. If someone on your gift list is continually losing his/her wallet, you may want to check out the Ekster trackable RIFD-blocking wallet ($129 for Parliament and $109 for Senate). This small, slim wallet comes with a solar-charged tracker that can be linked to your smartphone, Amazon Echo or Google Assistant using the TrackR mobile app. Once located, the tracker, which is about the size of a credit card that fits inside a compartment in the wallet, rings until you find the wallet and shut it off. The wallet also features a trigger that, once clicked, ejects your credit cards from an aluminum compartment that is designed to hold up to six cards. 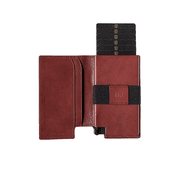 The wallet itself can hold up to 12 cards, cash and coins using all of its compartments. The aluminum cardholder is also designed to block NFC and RIFD signals, which are often used by hackers to steal credit card information. 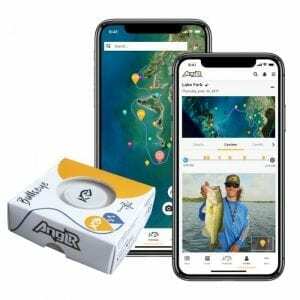 Fishermen on your list may want the Anglr Bullseye Bluetooth fishing tracker ($29.99). This small, stick-on device uses GPS coordinates, weather and water intelligence to map his/her favorite fishing spot, enabling them to return to the precise location where they caught the most fish. They can also mark waypoints and access all of their information on any mobile device using the Anglr app. One click on the device records all of the essential details. Two clicks marks the waypoint. 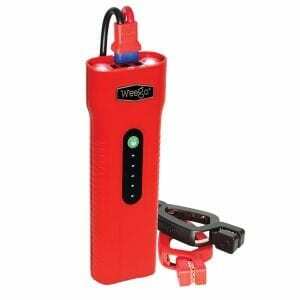 We’ve written about Weego portable car battery boosters before, but the Weego 66.1 ($199) jump starting power pack is the most powerful device in their long line of products. It’s designed for larger gasoline engines and diesel vehicles, but our tests have shown that it will jump start any vehicle. The process is fairly simple: Connect its “smarty clamps” to the red and black battery terminals, hit a button on the device, and it gives a needed boost to “dead” car batteries. It can also recharge your favorite laptop, mobile devices or 12-volt power tools using the appropriate cables. Plus it has a built-in 600 lumen flashlight. The ODBLink MX Bluetooth automobile scan tool ($79.99) interprets service codes to give you real-time data on the condition of your automobile. 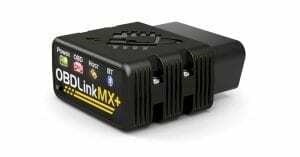 The device plugs into any car’s ODB port (which is usually found under the steering wheel), retrieves the codes and uses an ODBLink app or software to translate them using an Android phone or a Windows OS computer. It’s also compatible with third party apps such as Torque and DashCommand. Unfortunately it’s not compatible with Apple devices. The device works on all cars and light trucks manufactured from 1996 to present.